In January 2018, the Pashtun Tahafuz Movement (Pashtun Protection Movement) emerged as a dynamic non-violent social movement for justice and civil rights for the Pashtun communities in Pakistan. 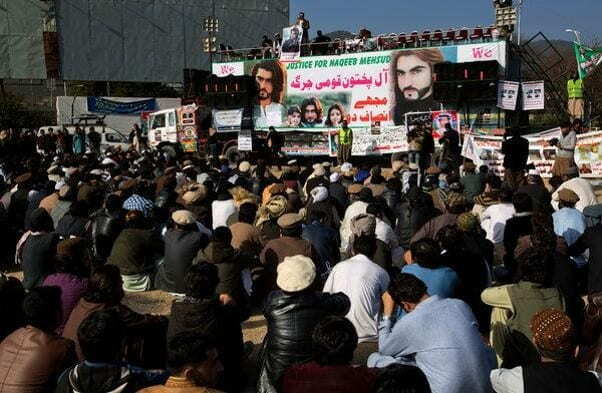 Claiming rights under the Constitution, a younger generation of Pashtun activists mobilized after the extra-judicial killing of a Pashtun in Karachi earlier in January 2018. 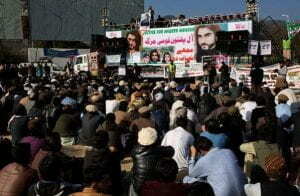 The movement has several broad demands: including justice for the killing in Karachi, the clearing of landmines in the Pashtun border regions, and accountability for thousands of cases since September 2001 of Pashtuns across Pakistan who have been victims of extra-judicial detentions, “disappearances”, and custodial or extra-judicial “encounter” killings. The movement has directly attacked the Pakistan military and security agencies as responsible. Some have called the movement “anti-national” and agents of foreign countries. Even as print and television media have been under pressure to ignore the movement, the Pashtun activists have used social media to mobilize support, post news of daily events, and organize marches and rallies across Pakistan. How do the activists perceive their movement? How has the activism been characterized by authorities and political critics? How might the movement be contextualized in the post-Arab Spring era, especially as such movements in other countries have shown mixed or failed results? Professor Robert Nichols is a history professor at Stockton University. His research covers the history of South Asia, Pakistan, and Afghanistan in the early modern, colonial, and post-colonial periods. These interests include political, economic, social, and cultural interactions across communities as well as interregional connections between areas of the Indian Ocean world. His teaching includes History seminars, Methods, and Senior Thesis and courses on social movements, contemporary events in South Asia, and the Vietnam War.